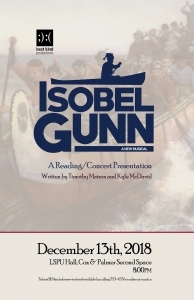 Best Kind Productions presents a one-night-only reading/concert of ‘Isobel Gunn’, an all new musical written by Timothy Matson and Kyle McDavid. Isobel Gunn was a Scottish teenager in the late 1700s/early 1800s who disguised herself as a man, adopting the name John Fubbister, in order to leave the Orkney Islands and work as a voyageur with the Hudson’s Bay Company in ‘Rupert’s Land’ (Canada). Many consider her to be the first European woman to travel to this part of Canada, and there are many explanations for why she took on this disguise in order to work for Hudson’s Bay. She lived and worked as a man for months, and the truth of her gender was only revealed when she went into labour to give birth to her son. After being discovered, she changed her name again, to Mary Fubbister, and was sent back to Scotland. What possesses a person to change their name, their gender, and to travel across the ocean? Was it for love? 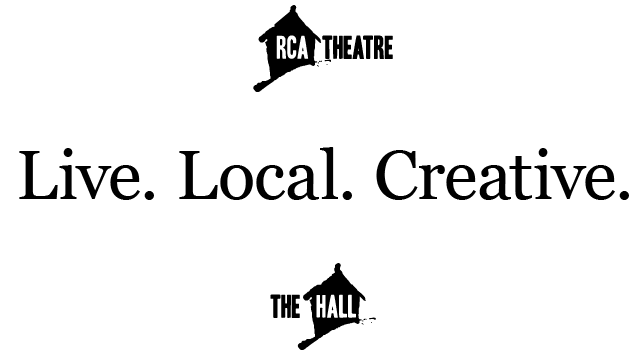 Some say it was a love interest of a man named John Scarth. Was it adventure? Her brother George also worked for Hudson’s Bay and may have told her stories of his travels. Was it money? For a woman in Scotland at the time, work opportunities and wages were limited. What made Isobel make the terrifying and fearless choice to transform herself into a new person entirely, to adopt a life of danger, adventure, and disguise? Who was the true Isobel Gunn?